For Lobbi, the tragic passing of his mother proves to be a profound catalyst. Their shared love of tending rare roses in her greenhouse inspires him to leave his studies behind and travel to a remote village monastery to restore its once fabulous gardens. While transforming the garden under the watchful eye of a cinephile monk, he is surprised by a visit from Anna, a friend of a friend with whom he shared a fateful moment in his mother’s greenhouse, and the daughter they together conceived that night. In caring for both the garden and the little girl, Lobbi slowly begins to assume the varied and complex roles of a man: fatherhood with a deep relationship with his child, cooking, nurturing, and remaining also a son, brother, lover, and…a gardener. 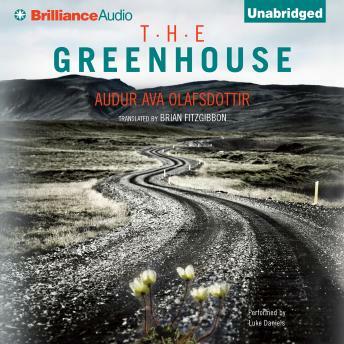 A story about the heartfelt search for beauty in life, The Greenhouse is a touching reminder of our ability to turn the small things in everyday life into the extraordinary.